I am happy to inform you that the Governor- General's Music in the Schools Committee will be hosting a fund-raising dinner on Wednesday 9th September at Old Belize Adventure, Mile 5 Western Highway, Belize City. 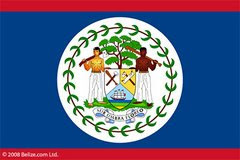 We know that it is traditional for Belizeans who live abroad to travel to Belize in September to help us celebrate and rejoice for the beautiful jewel, our country. I am asking that you pass on to any Belizeans who plan to make the trip this year, the news of Sir Colville's dinner, since they will certainly welcome this opportunity to bring in the Tenth in proper patriotic fashion while knowing that all profits from this participation will benefit the children of Belize. Tickets are on sale for BZ$100.00 and are limited in number. They are therefore available on a "first come, first served " basis. Please urge interested Belizeans to get in touch with my office as soon as possible.